...is a good time to reflect on the past, take stock of the present and plan for the future. The 2014 launch of Running with Zithers has been exiting, rewarding and has helped to clarify the direction we will be taking in 2015. 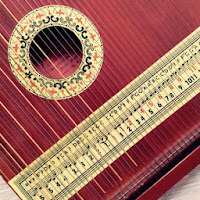 In the New Year we will continue to source, restore and sell/rent original, antique Chord Zithers and are already working on arranging and writing more contemporary Tune-Sheets. The 2015 workshop schedule will be published here at the end of January. 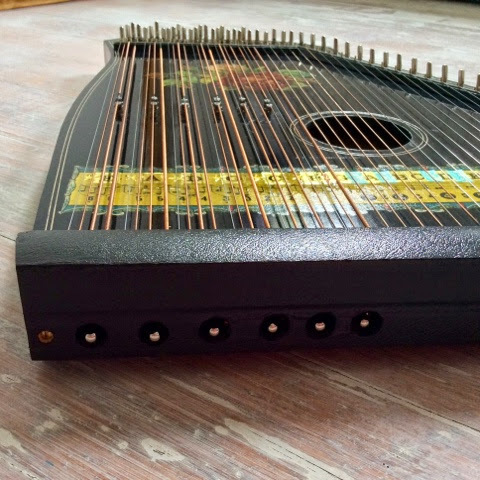 2014 also allowed me to fine-tune my personal zither play, resulting in my custom-made Marko zither being my instrument of choice. 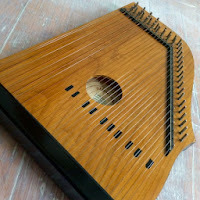 This meant that the 3 unique zithers pictured below, have hardly had a pluck or strum. 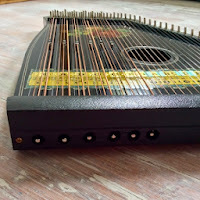 Rather than letting them gather dust, they have been added to the Running with Zithers Store. All 3 are bigger and more extensive than the original, antique zithers we 'run' with. Whilst a small selection of tune-sheets are included and more can be purchased following the links on our tune-sheet page, these 3 are very well suited to be played without tune-sheets, following any music score.